1 This free guide is the product of working with various video production companies in the UK, who all wanted to get more business from Google. This free guide is the product of working with various video production companies in the UK, who all wanted to get more business from Google. The aim of this guide is to let you try and manage your own SEO, using our tried and tested method. We will let you know each and every tool we use to help assist us with our SEO work and detail how we use those tools, how we monitor progress and how we keep on top of the competition. From our experience of delivering SEO to video production companies, Google traffic is an essential source of business that can be the make or break of you. You need to have more leads that you can handle if you want to be able grow or maintain a steady flow of business. Relying solely on word of mouth is not the most stable marketing strategy, but is more often than not the method that many video production companies use. When you consider your own businesses actual rankings in Google for terms such as ‘video production YOUR CITY’, you may have become accustomed to the fact that you are not in the top three or four. After a while you see this as normal and resigned to the fact that they will always rank better than you. Our aim is to show you that this is not how it has to be. 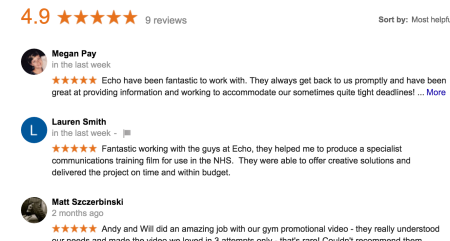 See above for an example of how we got our client the top local pack listing for ‘video production Brighton’, as well as position 2 in the regular organic listings. Every company embarking on improving their SEO should start out with an onsite SEO audit. Using SEMrush’s site audit tool, you are able to get a birds eye view of the underlying SEO issues holding your site back from reaching those all important rankings. When you look at this data, you are able to then manually analyse the issues. Using a tool like SEMrush is useful as it gives you overview of how bad the current state of your SEO is, with the issues categorised by nature of issue. Usually caused by tags or categories for blog posts in video production companies using wordpress, but is not limited to this. This could be because you tagged a post in ‘post production’ and ‘Canon’ and now that Canon tag url just has one post in and the other tag has the same post in it. If this is the case, it can be managed by accessing the option to noindex tags and categories in your wordpress dashboard. You can also access your /robots.txt and add Disallow: /tag/ Disallow: /category/. In other cases duplicate content is genuinely caused through using the content of a page in other areas of the site. Ensure you have not been taking shortcuts by copying and pasting text across the site. If you are locating various cities with individual pages, you may well have been lazy and just swapped the name of the location out, like ‘London’ for ‘Bath’. Video production companies are not the biggest culprits of this, but you may have just thought that using ‘video production [location] | [company name]’ across all your pages was good for your SEO. This however is one of the easiest ways to ensure you won’t rank for your desired keywords. Find all of the duplicate title tag issues and remember that each page needs a unique title tag. Video production sites are usually heavily image-driven (like photographers) and so often go light when it comes to the text content on the pages. If the pages have under 200 words of text there is a chance the page will struggle to rank well for the desired search term for that page. It is balance between appeal and getting your way with Google. If you use a tool like SEMrush, you can have the site audit function set up to give you a weekly report of issues. This means once you have done your overhaul, you can find the issues as they crop up, and solve them as you go. This is a much better approach than leaving your site without checks for 2 years because you did that audit back in 2014. Your efforts should be split between onsite SEO (audit to begin with) and offsite SEO. Offsite SEO refers to the links you have (or lack of) and the nature of those links. This phase of work also entails studying the backlinks your top ranking rivals have, because they are obviously doing something right. anchor text links – links on the word ‘video production [location]’ for example. If you discover bad links then you need to add them to a spreadsheet and work out which of the sites you believe have an editor/webmaster who would be responsive to your requests, and which won’t. Directory sites will not offer any assistance here and so you will be wasting your time if you are planning on emailing them. However, a video production blog with an anchor text link to you may be more open to helping you out (especially when you let them know its bad for their own site to link out in this way). You can even sweeten the deal by letting him/her know you would be keen to write a guest post for them again if they are ok with the desired amendments to your old post, first. For every low quality site that has not helped you amend your bad links, add them to a disavow file and submit via your Google Search Console. You should also access your Google Analytics and look at the organic traffic for a period of the past 3-5 years (if you have been going this long). If you have not been online this long then look over the longest period of time you can. In doing this you can spot if there have been sudden drop-offs in organic traffic. A sudden drop off in Google traffic could mean you have fallen foul to either an algorithm update or a manual action. 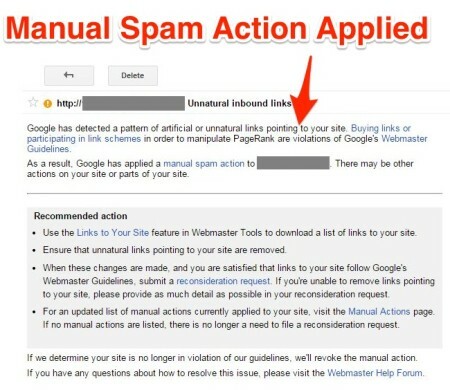 In terms of addressing your backlink profile, Google’s penguin update or an actual manual action are the two potential methods for Google penalising you for your bad links. If you have not been penalised, then make sure you are only disavowing links that are really bad. If you spot a sudden drop off in organic traffic in the past, first use Moz’s algorithm history chart to try and see if your drop coincides with an update they have listed. If it doesn’t, then check your Google Search Console (Search Traffic – manual actions) to see if there is a message from Google about them manually cutting your organic traffic out. As shown in the first image in this guide, Google My Business listings are incredibly powerful. If you can secure the visibility in your area with a local listing, as well as an organic result then you are on the right track to a stream of leads all year long. 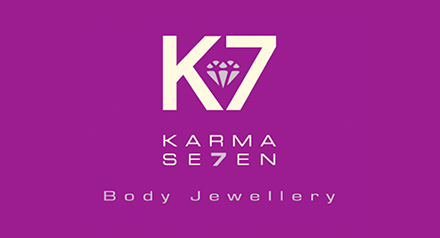 If you have accidentally created more than one Google My Business listing then you must get rid of one of them, if you want to have a chance at ranking in the ‘pack’. Make sure you don’t delete the account that has reviews, or else you will lose some of your ability to rank. One of the most important things to do in this phase of the work is to keep your company name, address and phone number the same across your GMB listing and your actual website. Make sure you categorise your business correctly when creating your GMB account. Don’t keyword stuff the name of your business on your listing with ‘video production [location]’, as Google has in the past mentioned they will decrease visibility if you do this. Pay attention to your description here to give the listing a greater chance at ranking and the extra 20 minutes on unique copywriting will pay off. Drawing upon your past and current client base, actively ask them to leave a review on your Google My Business page. This helps with being able to get in the pack for local searches and visually entices a higher click-through rate. It also gives potential new customers more confidence in your service and gives them an easy reference for who to contact regarding their experience with your video production services. Build the pursuit of reviews into your monthly activities because once you have 5 reviews you will get a star rating (yet another visually pleasing element to drive leads). Before you start just imagining which keywords you should rank for, like ‘video production company london’, you need to know if you currently rank for terms, which are providing you value. 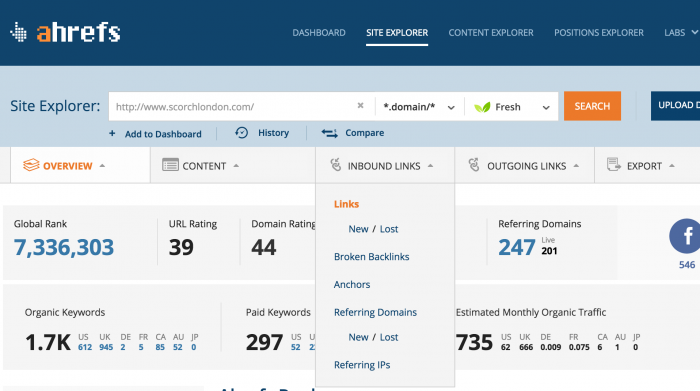 Instead of just digging through your site and searching for keywords in Google that you see on your site (not realising your Google results are not real and are actually biased towards your own site), use the domain overview tool by SEMrush. This allows you to see if you have rankings you are not aware of and shows the monthly search volume for that keyword. 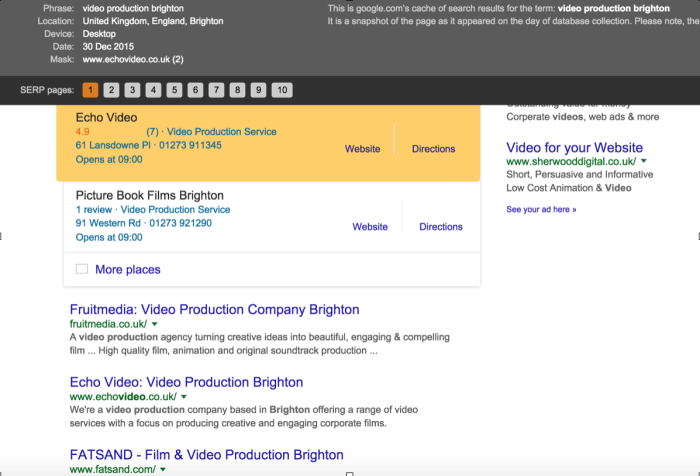 What you don’t want to do is accidentally break something that is working for you – in the case below, if another SEO came along and didn’t realise this site is ranking position 2 for ‘video production brighton’, they may well target ‘video production company brighton’ and lose this valuable position. 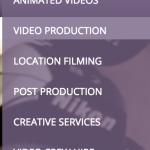 Next, look into the services you offer, such as music video production or product video production. Using your preferred keyword research tool (SEMrush or Google keyword planner), find the search term your prospective customers are searching, for each service you offer. Let’s say you do dvd authoring as a little side-service. Search the term in your keyword tool to find if there are variations on that term that are more popular, whilst still being associated with someone who is looking for assistance and could become a customer. This is the difference between ‘dvd authoring company’/’dvd authoring’ and ‘what is dvd authoring’ – these searches have different intents and the latter may not be in the ‘buying’ phase. One of the easiest and most effective ways to map out the keywords across your site is by setting up a Google spreadsheet in Drive and mapping out the navigation of your site along the top, and H1 and Title tag fields along the left hand side. Now that you have a list of all the different keywords you want to rank for, it’s time to accurately measure where you rank in Google before your SEO efforts are implemented. This way you can measure the impact of your time put into SEO. 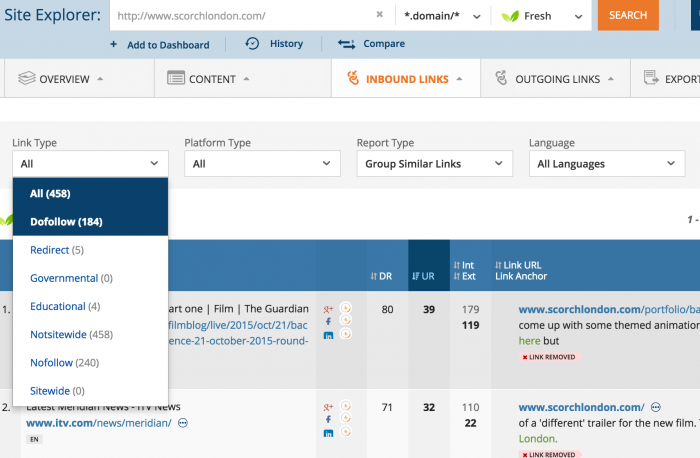 Once again, I would recommend SEMrush, as they have a keyword tracking tool that allows you to track down to the city level. This means how you rank for ‘video production’ when people search in a given city. As a video company, you are working with all sorts of different clients and may well be documenting the work you have done with them in a portfolio section. Each portfolio piece has the chance to be used as an engine to drive super pre-qualified leads. 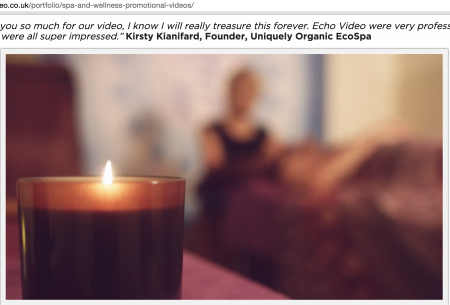 If you have recently worked with a local spa, then instead of optimising this page for ‘[spa’s company name] | Portfolio’, how about ‘Spa Video Production’. Of course, back all these decisions with keyword research data, but you see the idea. This attracts customers in the same niche as one of your previous clients and hopefully your video piece embedded on the page will do the hard work for you. You can use a multitude of different tools to continuously track your keyword rankings. Keeping an eye of the weekly change is a fairly important task you should build into your working week if you are not outsourcing SEO. SEMrush’s keyword tracking is really useful for this and you can have a weekly report sent to you for your ranking performance and changes to the ranking positions. You can also use advancedwebrankings who specialise in this. Now all links are made equal. When you are trying to acquire new links to ramp up your rankings, you have to understand how the top-ranking competition have approached their offsite SEO (link building). More often than not, when you look into your top-ranking competitor’s backlink profiles, you will find they have for the most part, got a strong backlink profile (particularly in the competitive video production industry). If you are up against London-based competitors, the backlink profiles are likely very strong if they are in the top 5 for ‘video production London’. However, if you are targeting a smaller area of the UK, such as East Grinstead, for example, you may find the competition have not got quite as strong a profile. If we take for example one of the top-ranking sites for ‘video production London’, we can start by using ahrefs to investigate their backlink profile. Once you have signed up to use ahrefs with the ‘Lite’ package, you can use the site explorer tool to get an overview of their backlink profile. Just click the search button and you can then almost see their links – just hover over the inbound links tab and then click ‘links’. Make sure you filter the results by ‘dofollow’ on the left hand side. This is so you can see the links they have achieved, which are passing SEO value to their site and helping them rank. At this point you can start to inspect some of their links and put together patterns to the strategy they have implemented. For example, are they acquiring links through promoting a whitepaper or epic blog post? If so, you can begin to think about your own industry guide that will, a) help you acquire new links and, b) rank organically in Google (for the guide url) to drive targeted traffic. Try and notice if their guide appears to have naturally acquired links or if they have actively gone out to promote the guide and have a guest author bio in the footer of articles. Sometimes, video production companies that have successful campaigns for their clients get mentioned in an article. Mashable have linked to Scorch in this article about Renault Clio’s prank video – this link is seriously valuable and safe! It is important to recognise links that your competitor has acquired, which you certainly don’t want to replicate. Take for example this link for Scorch – sidebar link with the anchor text ‘video production’. If their overall backlink profile wasn’t so strong, this would land them in hot water. 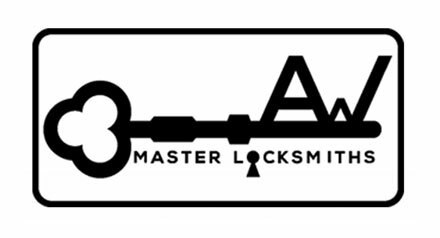 Using the knowledge from the previous chapter, you now have to understand where you can get your own powerful and safe links from. This depends on your strategy and if you are relying on natural links versus actively acquiring links. Natural links (referring to the Renault Clio example above) are the product of your best work, but can also be prompted by pitching your idea to likes of a Mashable or Buzzfeed editor. Another link building strategy that is great for video production sites, is guest blogging on SEO or video marketing blogs such as advancedwebrankings, SEMrush or ReelSEO. SEO blogs that offer dofollow links will accept articles on the topic of Video SEO, SEO for YouTube videos and the impact video can have on SEO. So if you can write great articles with hooky titles surrounding these topics, then you will be able to score links in this way. 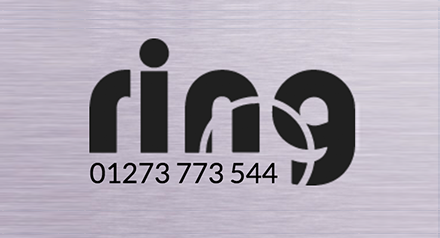 Also make sure to get the basic sites covered too, like Dmoz, where you can simply request to add your site to their directory (this is a very good directory and it is worth noting that many directories are not). Try and be as safe as possible when actively getting links. This means getting a link on the anchor text of ‘your company name’ more often than not. If it is not realistic to link on ‘company name’, then request a longer portion of the sentence. When you secure a link on another site, ctrl click it and ‘inspect element’ to see if the link is nofollow. If it is nofollow, then they have essentially linked but it won’t pass pagerank. If you are not getting follow links then you won’t have a high chance of ranking for your keywords. Using ahrefs, you can have a weekly report of new or lost links sent directly to your inbox. This is really important and would normally be managed by an SEO. It can be misleading as to whether the link is new or lost, so use a little logic to see if the link is actually new or if it has actually been removed. On many occasions the link is neither new or lost, and may get you to think you don’t need to build new links or panic over a lost link that actually still exists. If you find a really bad new link then you can catch it early and submit to an updated disavow file. If you find a good link, then understand if you can actively pursue getting more links of this nature on other sites.